There is nothing fun or funny about The Shining. But that doesn’t mean it isn’t a great piece of cinema and infinitely rewatchable. It is not a comfortable movie to watch nor is it supposed to be. To an extent, while it regularly gets designated as a horror film, it is actually a study of mental deterioration, illness and abuse. This brings into question the very idea of horror: what do we consider to be a horror film, anyway? What (and who) are the real monsters? Are they the ones that we make up or imagine? Or are we the real monsters? Kubrick made a vast number of films critiquing the human condition. In fact, many of his works questioned whether humanity as a whole could really be put into simplistic binaries such as “good” and “evil.” If you visited the New Beverly earlier this month, you would have seen Alex struggle with these very demons in A Clockwork Orange (1971) or complex morality in criminal activity as presented in the early noir, The Killing (1956). Stanley Kubrick based much of his career on the examination of human beings. 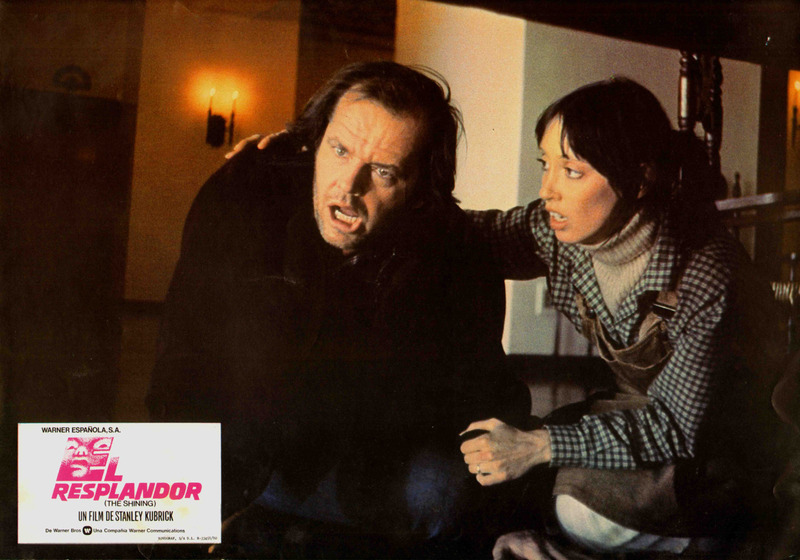 The Shining was a cinematic platform that intentionally explored sickness, angry masculinity, domestic abuse and impotence and did it in such a way that it became a film widely known and respected today. Tragically, the production experience for many behind the scenes was just as horrific as on-screen, and that is not something that should ever be by-passed or forgotten, but the work that is The Shining also translates to a warning: not all fiends come in fiendish form. 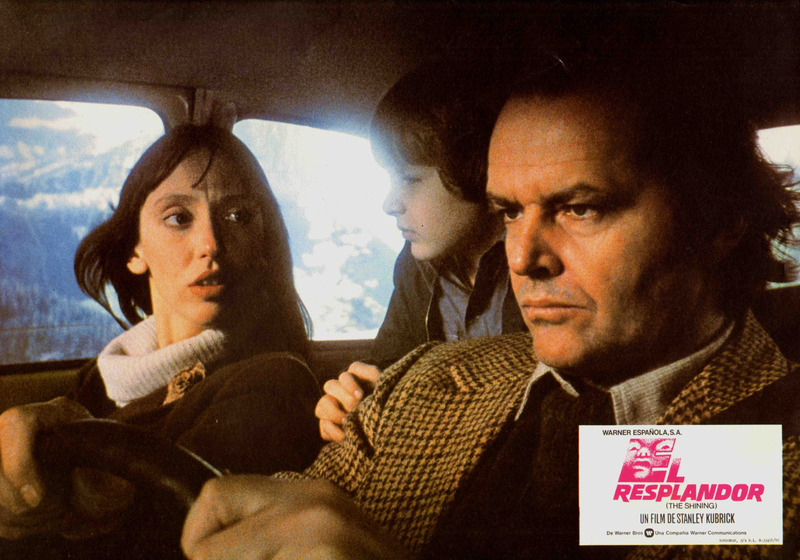 The Torrance family – Jack (Jack Nicholson), Wendy (Shelley Duvall) and Danny (Danny Lloyd) – move into the Overlook Hotel for the winter. Jack has left (most likely been fired) his previous employment and is looking to become the Great American Novelist (or so it would seem). Wendy is highly supportive, perhaps too much so, considering that she lets it slip that he has been abusive in the past but that was when he was drinking. “He hasn’t touched a drop in six months!” she says cheerily after talking about when Jack got extremely physical with his young son, causing serious injury to his arm. Wendy’s own nervousness is palpable. Enough that based on Jack’s work record, alcoholism and behavior towards his son, it’s not so much a question of if he has been abusive to her, it’s a matter of when and to what extent. Wendy is the only person who never experiences any of the supernatural visions in the film but she experiences the monstrous abuse and terror. When Jack gets angry, it’s Wendy who bears the brunt of it. She believes Danny when he says he has seen another person in the Overlook (good mom!) and yet she never experiences any of the visions on her own. This is not to say that she doesn’t “shine,” but Wendy has one of the toughest roles in this story. She gets terrorized by the monster and must protect her child. She does her best at any given point but it’s clear that it’s not a role that she expected to play in life. Perhaps the fact that she sees reality so clearly speaks to the fact that these visions are not a luxury that women (especially caretakers or women in abusive relationships) are allowed. She supports Jack and Danny in all things (visions and possibly unsuccessful writing careers included) but her role as second fiddle and eventually terrorized wife and mother is certainly worth looking at. Jack Torrance has a true transition throughout the film and it ain’t pretty. While it could be discussed on a variety of aspects – costume, aesthetic or behavioral, the most intriguing is the way in which his language changes. Since his purported goal in going to the Overlook (aside from the job as caretaker) was to write, it is fascinating to watch how his intonations and inflections alter and how his language changes from character to character depending on whom he is with. From his fantasy bar experiences to his monstrous transformations, Jack’s language stability is key to his mental depreciation. One of the key examples of this is the encounter that Jack and Danny share in their apartment. Danny has gone upstairs looking for his toy. Jack calls Danny over and puts him on his lap, hugs and cuddles him, kissing his head. He shows him genuine affection. It’s one of the only intimate scenes in the entire film. Danny looks stoic, like a ventriloquist dummy, staring straight forward while Jack seems to be clinging on for dear life to his son. It is here that Nicholson’s acting is at its most subtly chilling. As he engages Danny, asking him if he’s having fun, how he’s doing, basic questions, his face awkwardly twists at the camera. Kubrick’s lensing of Jack seems to reflect a character change that only we, the audience, are meant to see. At this delicate moment Danny shifts the situation. He starts asking questions. Danny asks if Jack likes the hotel. Nicholson’s performance shows a further descent into Torrance’s madness and paranoia, exhibited by certain pronunciations and visual cues. “Don’t you?” he responds to Danny, “I wish we could stay here forever and ever.” Danny follows up with an inquiry about whether Jack would ever hurt Wendy or Danny. This causes Jack great distress. His face drops. Kubrick shifts the camera at this moment to refocus on Danny. Jack asks him, “Did your mother ever say that? That I would hurt you?” Danny replies no. The camera returns to Jack with his arm around Danny. There is a complete change to the manner in which he is viewing his son and it’s demonstrable. What was a spare but creepy music-scape previously now has turned fuller, creating a rising audio schema of anxiety, resembling a child’s music box. Jack looks directly at Danny. “I love you, Danny. I love you more than anything else in the whole world. I would never do anything to hurt ya. Never. You know that, don’t ya?” A change between you and ya, clearly present in this exchange – what Jack Torrance is it now? 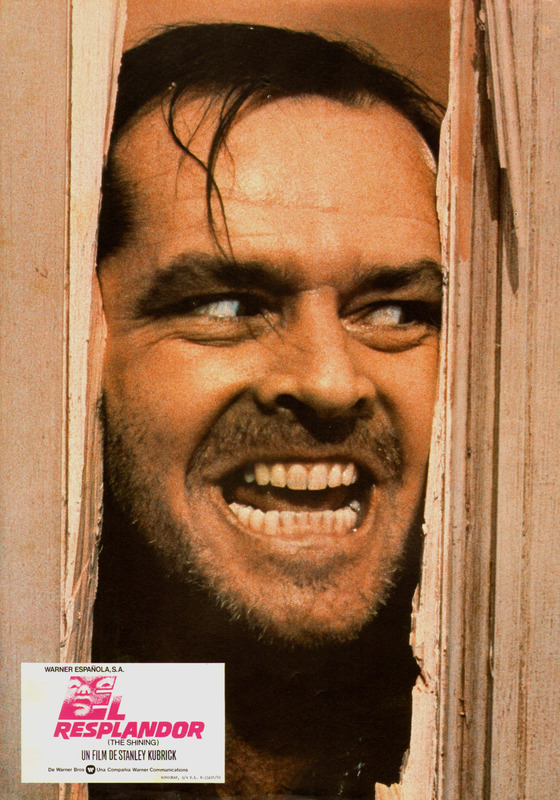 2) There is a mental illness or ailment at play (multiple personality disorder, depression and bipolar disorder) that would cause them to take on a different kind of “persona.” Within The Shining, the various Jack Torrances can be identified by his speech patterns. As previously noted, he is still a problematic character. With a propensity for domestic abuse and documented evidence on his alcoholism and child abuse, Torrance was never going to make Father of the Year. Was it Room 237 that exacerbated his condition? Was it the isolation? Was it the burning misogyny that he expressed in the Gold Room that first night (“Women, you can’t live with ‘em, you can’t live without ‘em”)? That is still unclear. What is clear is that his linguistic patterns have an evolution that follows his descent from sanity. 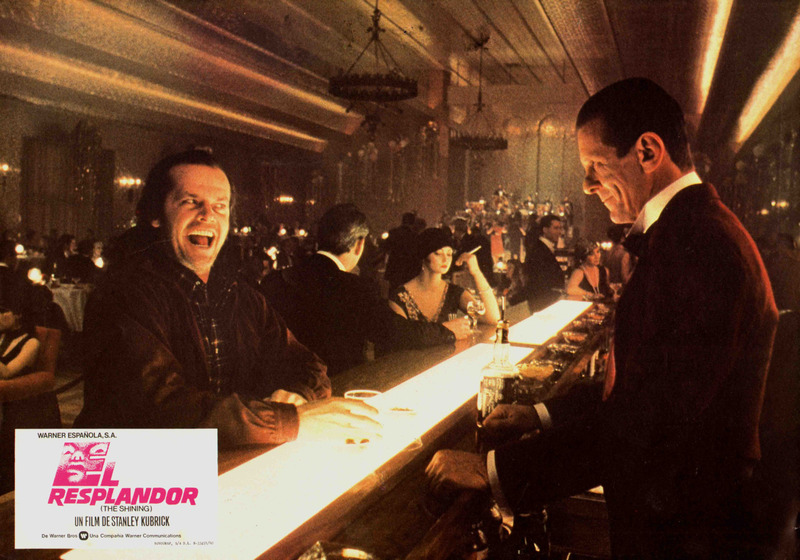 From the film’s beginning to his televisually based and media/pop-culture-savvy “Heeeeeere’s Johnny!” during the grand finale, watching Jack Nicholson work with the character of Jack Torrance to aurally portray his decline is one of the greatest aspects of the film. While The Shining is a prodigious work, these subtle aspects bolster the more obvious points like cinematography, writing or even Saul Bass’ killer poster (the rejected ones are also amazing). 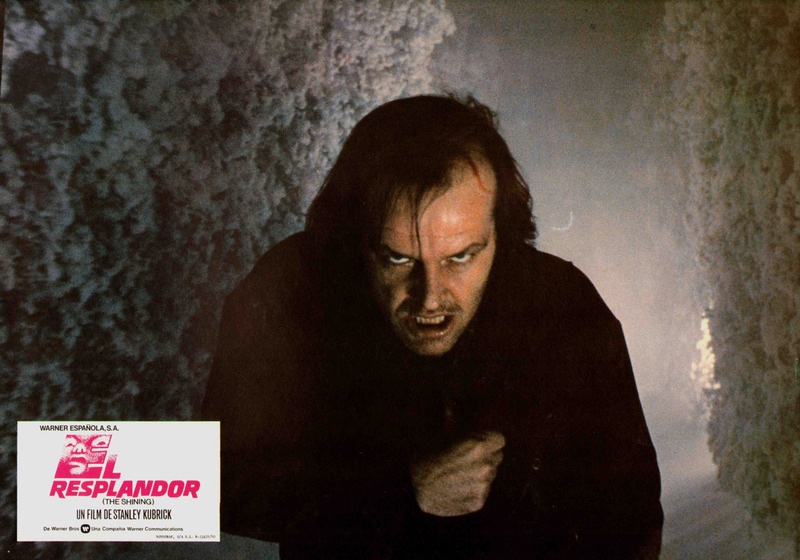 The Shining screens December 28-31.